Amsterdam didn't get my love easily. It didn't work either the first time or the second time, but on my third visit I was ready to succumb to its charms. Now, it's sharing my appreciation with Hague, that conquered my interest from the beginning, with its charming boats and mysterious streets. We arrived in Amsterdam after a long train ride from Berlin that ended up abruptly in the middle of the Netherlands. Someone decided to take his life by running in the face of the train and our arrival was delayed for over an hour. Welcoming Dutch youngsters helped the lost foreign passengers to find their way to Amsterdam by checking their apps and giving promptly the requested information about connections in English or German. Shortly upon arrival and checking our boat hostel at Amicitia, with a map and a camera we started the late tour of the city. For hours, we did not want to do nothing else but wander the streets, look at the colourful architecture, try to get lost without knowing what is the right bridge for passing on the other side of the channel. Of course we jumped several times in the middle of the road trying to take the best picture of a building, bothering terribly the bikes. 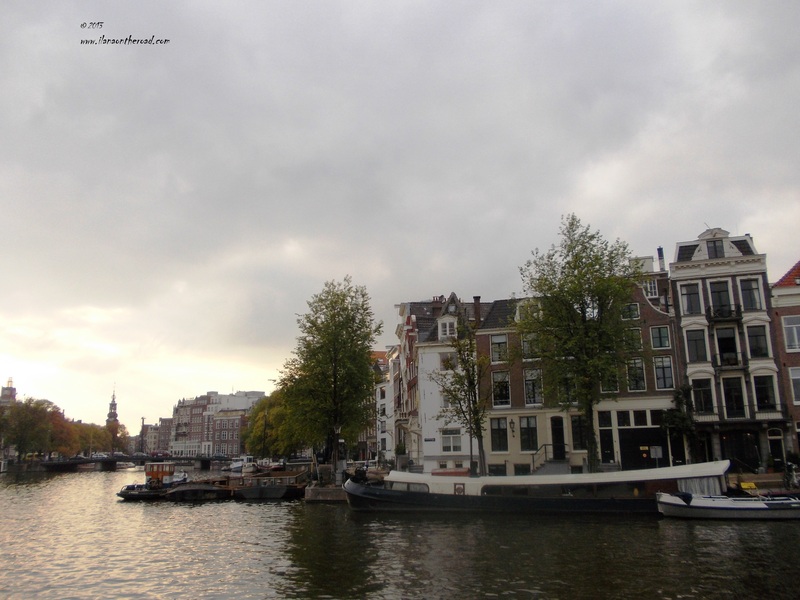 More than once we were shouted suggestively: 'You are in Amsterdam'! But getting lost in Amsterdam is not a realistic plan. Following the smell of street food and the groups of tourists we arrived in the central Dam square area. 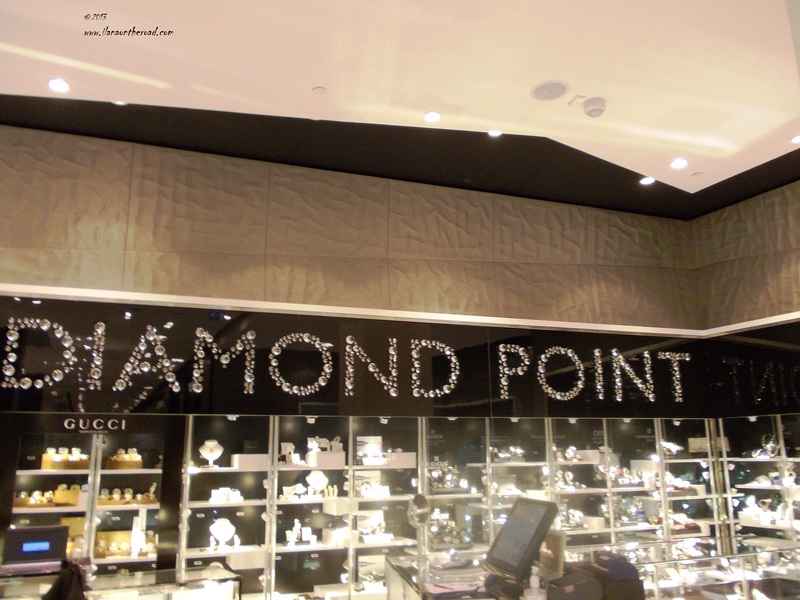 After checking several souvenir and many more cheese shops, we had a short look at De Bijenkorf, the beating point of luxury shopping. As the next day we were ready for Antwerp, we preferred to do not create too much jealousy and competition and continued our lonely exploration of the streets maze. There are so many small and elegant shops inviting with delicious coffee and waffles, open till late in the night with people with big smiles on their faces. The modern colours bring a young life to the old severe red-brick architecture. Don't try to get things too seriously; buildings, as humans, may look similarly, but each has a different joyful secret behind the walls. It was getting later and we were not prepared for a cultural/intellectual tour. 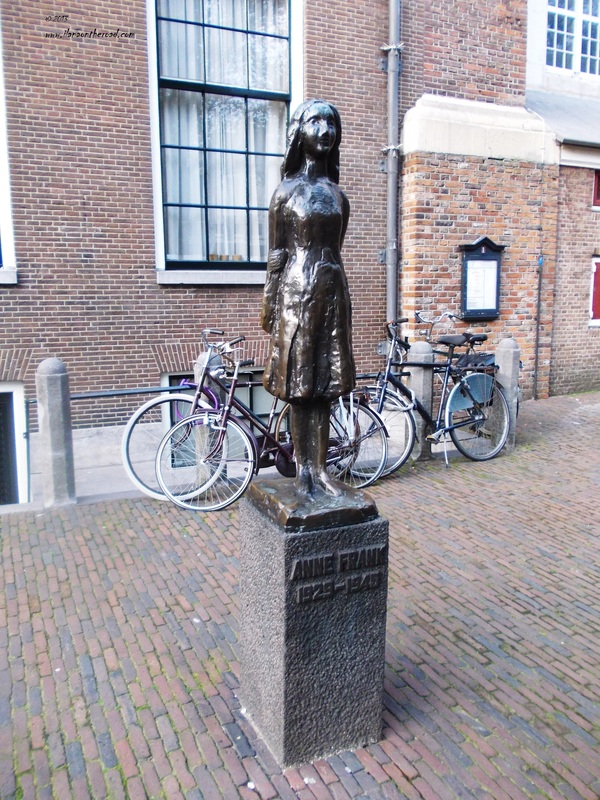 The only museum open at the time was Anne Frank Memorial House that I wanted to visit since childhood and we decided to change the plan. We waited quietly in line and entered the permanent exhibition together with other visitors from all over the world. Anne Frank wanted to be a journalist and a writer. She had so many hopes and dreams and secrets. But instead to go to the library and walk freely on the streets of the city for inspiration, she was hiding for saving her life. 'We are afraid the neighbours may her and see us' was her main worry. Her diary, published later by her father, the only survivor of the family, can give hope that the force of words will never be lost. And even in the darkest times of our history, we should never give up hope. In silence, we found out way back to the boat late in the evening, passing by colourful graffiti. Time for a smoothie and a bit of street watching from a table outside a small coffee near the Central Station. The weather was unusually mild and close to the middle of the night it was still enjoyable outdoors. On purpose, I wanted to keep the very busy schedule for the next day. 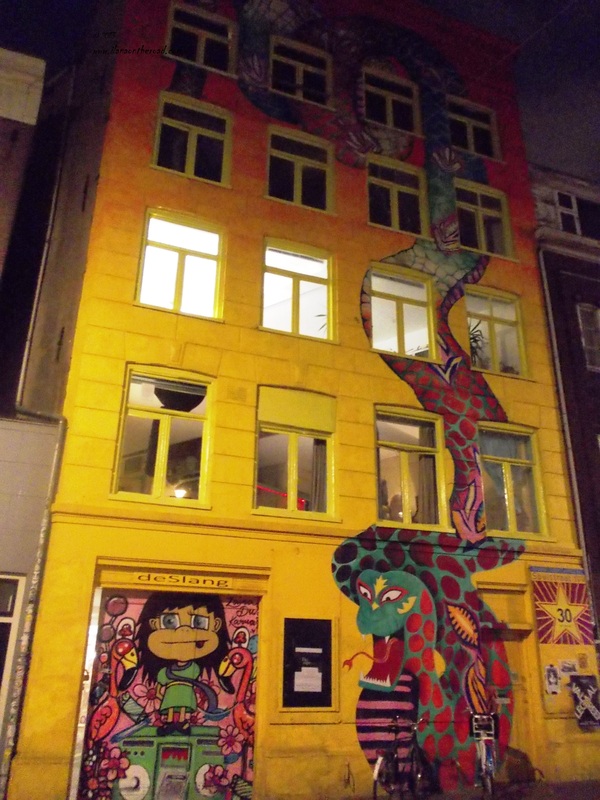 We went up very early and after testing the local subway system on the way to buy our bus ticket for Antwerp, we went back around the central area, on the streets we discovered the day before, hungry for cultural discoveries. 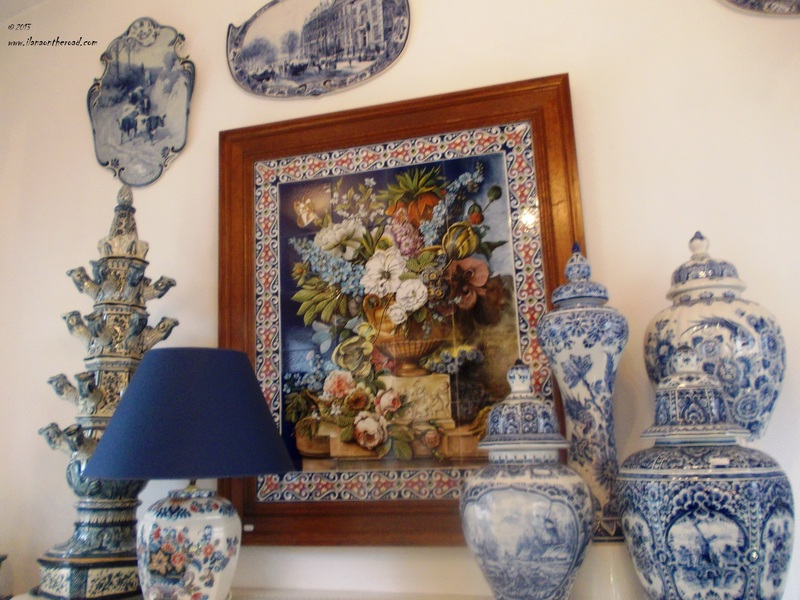 We started with the Royal Delft porcelain mini-shop. People of navigators, the Dutch brought back home a lot of influences from the far away lands of the Orient they visited in search of raw materials and spices, but translated in the simplicity of white-and-black paintings. The local unsurprising landscape remained the main source of inspiration, to whom exuberant flowers and exotic birds were added. Note to self: the next time when I visit the Netherlands, Utrecht and Delft should be on the bucket list. 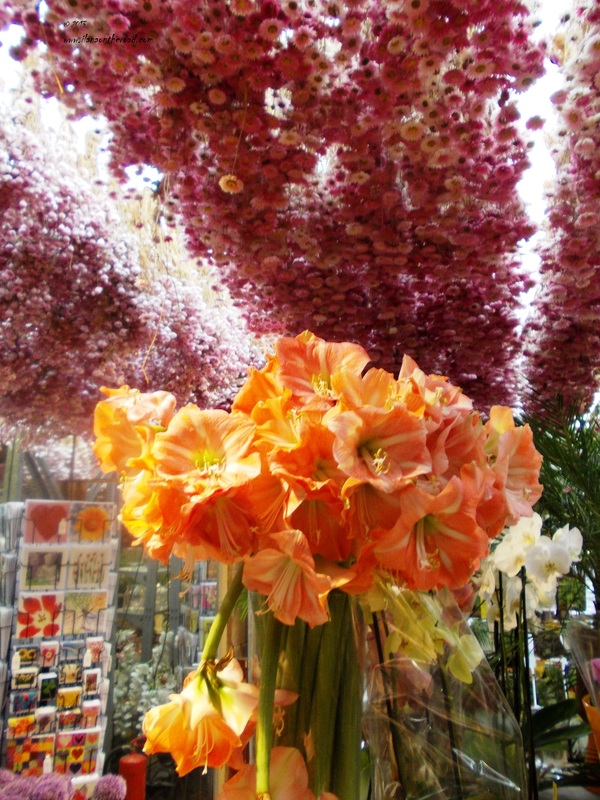 I continued with the flower market, which I expected much bigger and more eventful. Flowers, especially the national flowers, the tulips, are on sale but also bulbs and seeds for the passionate gardeners. The impressive collection of reddish cacti was almost convincing me to bring one back home as a souvenir. I tried to imagine how beautiful my Friday evening tables could be decorated with a different choice of flowers from that market. With the head in clouds, I noticed that I was at the end of the market, in another area with cheese shops. 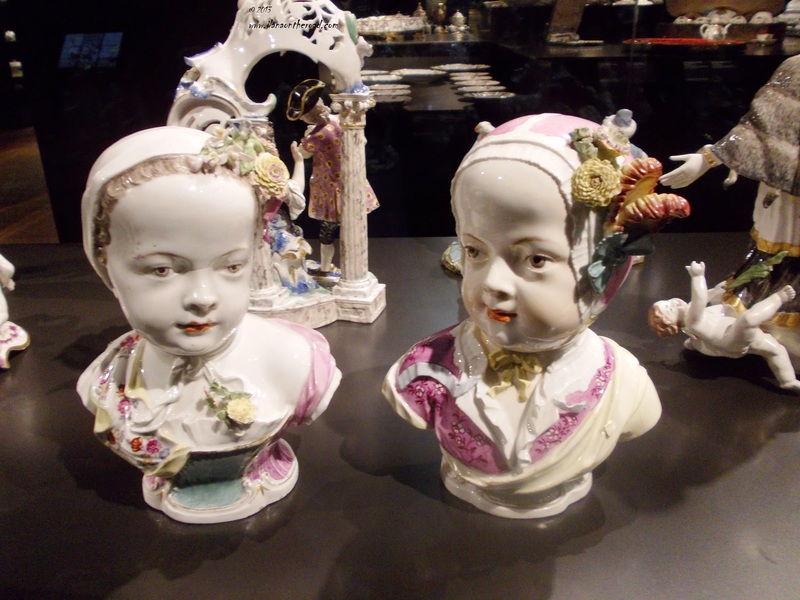 During the preparation of the trip, I asked people familiar with the city what I should not miss and was repeatedly encouraged to visit Rijksmuseum. I chose it as the final stop of this Amsterdam trip Amsterdam and I may say it was a rewarding choice. Recently re-opened, it covers not only the history of the Netherlands, but also a good slice of the history of humanity. I am a passionate lover of the Dutch paintings and I was able to see here the most beautiful exponents, including Vermeer, explained in the most comprehensive way for a non-expert. Most rooms are dedicated to the daily life in the country across centuries, displaying impressive collections of lockers and keys, weapons, porcelain, toys or boats, among others. The museum was overcrowded and it was sometimes hard to find the best spot for a good view on a painting, but totally worth the three full hours spent there. It was about time to run to catch our Eurolines bus. 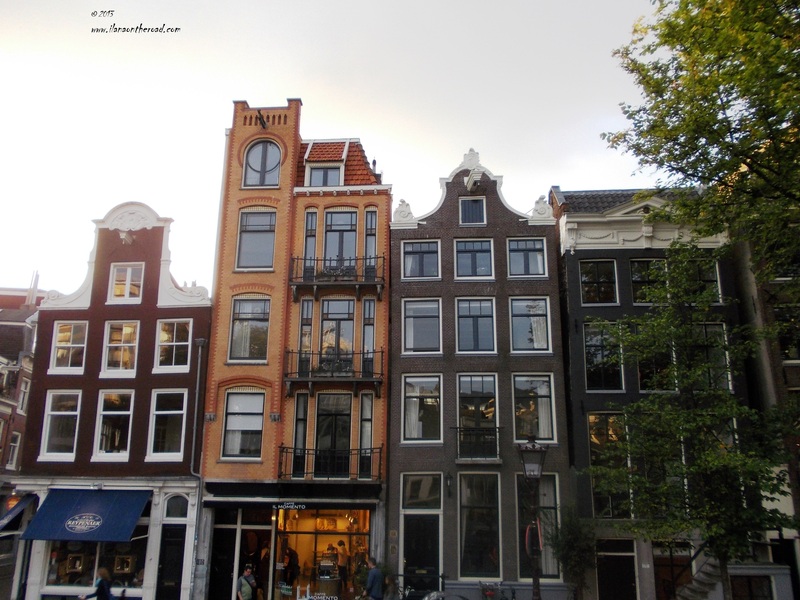 Keen to keep the cultural mood from the museum, we returned to Central Station through Nieuwe Spiegelstraat, the best place to find galleries, antique shops and fashion and jewellery created by local artists. 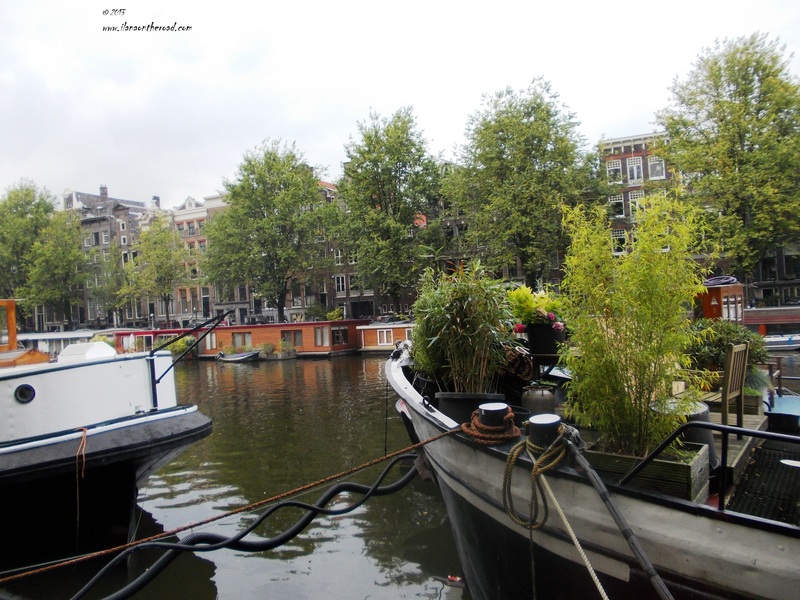 Good bye fancy green boats with flowers and yellow buildings! You finally have my heart!